During the financial period of quarter-on-quarter (Q2’18 and Q2’17, QoQ), the Malaysian Ringgit (MYR) strengthened against all regional currencies leading to an adverse forex translation impact on the Group’s headline performance. For the period, Group revenue and EBITDA decreased by 3.2% and 10.1% to RM5,867.1 million and RM2,043.2 million respectively. The Group PAT and PATAMI registered a decline of more than 100% due to the one-off non cash impairment provision of RM3,379.9 million. Malaysia: EBITDA dropped by 13.5% to RM494.9 million mainly driven by the impact on the adoption of MFRS 15. PAT decreased by 56.1% to RM156.9 million from RM357.5 million quarter-on-quarter mainly attributed to a one-off intergroup gain from disposal of associates recorded in Q2’17, which was eliminated at Group. Indonesia: Revenue and EBITDA declined by 14.9% and 13.6% to RM1,569.3 million and RM611.1 million respectively mainly due to unfavourable forex translation impact. At constant currency of Q2’17, revenue and EBITDA registered a marginal decline of 1.9% and 0.5% respectively, compared to previous year corresponding quarter. PAT decreased more than 100% for the period to record a loss of RM28.7 million compared to profit of RM30.6 million recorded in Q2’17 mainly attributable to higher forex loss. Bangladesh: Revenue declined by 14.2% to RM777.2 million. At constant currency of Q2’17, revenue registered a decline of 1.7% mainly due to change in go-to-market model of device in 2018 that resulting in a change in revenue recognition of device; EBITDA increase 18.1% contributed from lower operating cost. PAT decreased by more than 100% to record a loss of RM37.6 million as compared to profit of RM39.8 million recorded in the preceding year corresponding quarter mainly attributed to one-off deferred tax credit adjustment of RM102.5 million in Q2’17. Sri Lanka: Higher EBITDA partly offset by higher depreciation charges resulted in PAT increased by 6.1% to RM71.0 million. Nepal: Revenue and EBITDA declined by 7.4% and 12.5% to RM554.6 million and RM349.2 million respectively due to unfavourable forex translation. PAT decrease by 10.1% to RM188.6 million due to lower EBITDA partly offset with forex gain. Cambodia: Revenue registered a decrease of 4.7% to RM283.7 million due to unfavourable of forex translation. EBITDA declined 13.9% from lower revenue and higher operational cost. As a result, PAT decrease by 20.8% to RM65.2 million. Malaysia (Infrastructure): Higher forex gain further impacted PAT to increased more than 100% to RM73.2 million as compared to RM33.6 million recorded in preceding year comparative quarter. For the financial period to date 2017 (“YTD’17”), the Malaysian Ringgit (MYR) strengthened against all regional currencies led to an adverse forex translation impact for the Group. Group revenue and EBITDA decreased by 2.7% and 7.9% to RM11,615.3 million and RM4,079.6 million respectively due to the forex translation impact. PAT and PATAMI declined more than 100% to a loss position of RM3,412.0 million and RM3,504.7 million respectively mainly due to one-off provision of loss on its investment in India of RM3,379.9 million. Malaysia: EBITDA declined by 13.7% to RM951.6 million mainly contributed by the impact on the adoption of MFRS 15. PAT decreased 39.9% to RM331.9 million at entity level as compared to RM552.0 million in prior year mainly attributed to a one-off intergroup gain from disposal of associates recorded in YTD’17 which was eliminated at Group. Indonesia: Revenue and EBITDA dropped 12.2% and 9.4% to RM3,159.2 million and RM1,214.1 million respectively mainly due to unfavourable forex translation impact. PAT decreased more than 100% on the back of higher forex loss. Bangladesh: Revenue declined by 12.9% to RM1,546.2 million mainly due to unfavourable forex translation. At constant currency of YTD’17, revenue would have registered a growth of 1.7% contributed by data revenue growth on the back of strong hold in 4G data business, partly offset with change in revenue recognition of device. PAT decreased by 54.9% to RM87.4 million mainly due to higher finance cost and lower one-off deferred tax credit adjustment, partly offset with lower depreciation as compared to prior year. Sri Lanka: PAT increased by 27.3% to RM142.9 million, contributed by better top line performance partly offset with higher depreciation charge. Nepal: Revenue dropped 6.0% to RM1,104.8 million mainly due to unfavourable forex translation. EBITDA recorded a decline of 11.8% to RM691.8 million. At constant currency of YTD’17, EBITDA registered a decline of 1.9%. Cambodia: Revenue and EBITDA declined by 12.9% and 20.5% to RM536.7 million and RM246.9 million respectively, mainly due to unfavourable forex translation. At YTD’17 constant currency, revenue and EBITDA registered a lower decrease of 2.7% and 11.3% due to continuing intense price war competition. As a result of lower EBITDA, though cushioned partly by lower tax, PAT decreased by 29.9% to RM123.9 million. Malaysia (Infrastructure): PAT increased by 1.3% to RM98.1 million a result of higher EBITDA partly offset with one-off prior years’ tax of RM15.0 million concluded in current year. PAT and PATAMI declined more than 100% to a loss position of RM3,317.7 million and RM3,357.3 million respectively mainly due to the one-off provision of loss on its investment in India of RM3,379.9 million recorded in current quarter. Malaysia: PAT decreased by 10.3% mainly due to one-off additional tax charges of prior years’ tax assessment concluded in current quarter. Indonesia: Revenue decreased 1.3% to RM1,569.2 million and EBITDA increased by 1.3% to RM611.1 million. Despite higher contribution from EBITDA, PAT declined by more than 100% due to forex loss. Bangladesh: EBITDA decreased by 19.2% to RM147.5 million compared to preceding quarter. Sri Lanka: PAT declined by 1.2% to RM71.0 million due to higher depreciation charge. Nepal: PAT registered an increase of 5.1% to RM188.6 million flowing from higher EBITDA and higher forex gain partly offset by higher depreciation charge. Cambodia: PAT increased 10.9% to register a profit of RM65.2 million. Malaysia (Infrastructure): PAT improved by more than 100% to record a profit of RM73.2 million as compared to RM24.9 million in Q1’18, flowing from higher EBITDA and forex gain. In order to facilitate the query of the company and stock picking articles and videos I have written, an index has been produced. 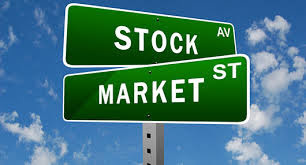 Everyone can find company and stock picking articles and videos from https://klse.i3investor.com/blogs/general/178572.jsp by date.